How long do movies last? A cool hour and a half? Over two hours? Or maybe even more? Most feature length movies last about 90-110 minutes. That may be too much or too little depending on how good the story-telling is. But there is an overflow of short films you can watch in a lunch break, all of which will have you asking for more. 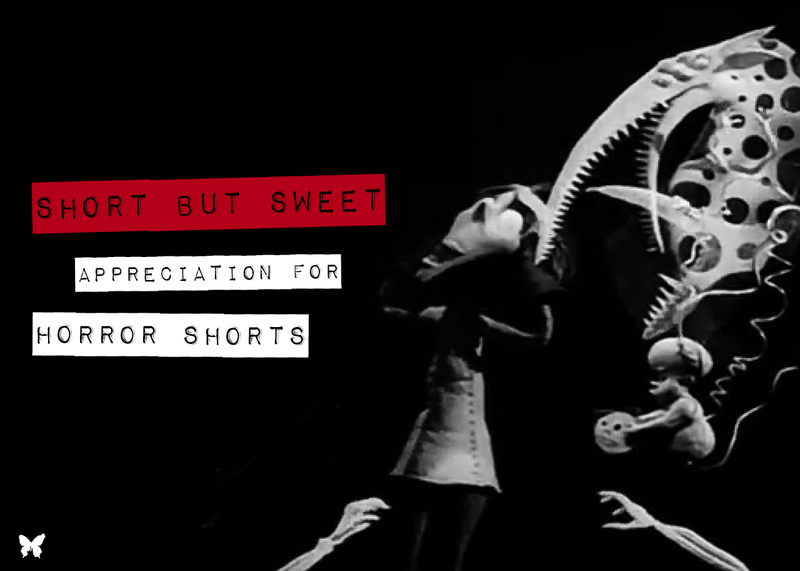 As long as there have been movies, there have been shorts. In fact, many early films were short. 1896’s The House of the Devil (aka, The Haunted Castle) brought bats, apparitions, and demons to the screen in just over three minutes. We all recognize Boris Karloff as the 1931 Frankenstein’s monster, but the first ever film rendition of the classic was released two decades earlier as a 14-minute piece. As state-of-the-art technologies develop and new ideas arise, shorts become a quick and easy way to broadcast them. With each decade, choppy styles seen in movies like The House of the Devil and Frankenstein become smoother, like He Took His Skin Off For Me (2014), and more anxiety-inducing, like He Dies At The End (2010). But why make a short when you can make a full-length movie? There are a few different reasons, one being funding. Shorts can be made on micro-budgets, which is especially enticing for people just starting out in the movie-making business. Almost no-one has $30 million just lying around; it’s much easier to raise a few thousand. Bedfellows (2008) worked with a budget of about $1,000, proving you can deliver scares with very little money. An abbreviated running time also forces filmmakers to get creative. Before Beetlejuice and Edward Scissorhands, Tim Burton’s Vincent (1982) showed that shorts could be beautiful, gritty, gothic, and most importantly, animated (in more ways than one). Not only could you produce a cartoon, you could make that cartoon able to articulate the story of a young boy’s tortured soul in the time it takes to fry an egg. Venefica is one of my favorites. It’s the story of a witch, Penelope, preparing for a right of passage that will decide if her powers will be used for good or evil. I enjoy this one because it puts witches in a modern light, and we can see a lifetime of her story play out in just 7 minutes. This short has the audience on pins and needles, waiting anxiously for the final verdict. The Horribly Slow Murderer with the Extremely Inefficient Weapon (2008) is another favorite, and the first horror short I had ever seen. It masterfully blends horror tropes with humor, keeping me laughing through the entire 10-minute show. Shorts are a lot like fashion shows; they give a sneak peek at the upcoming season, featuring techniques and ideas that are in vogue at the time. As Creepypastas in the 2000s grew in popularity, short films about those subjects, like 2AM – The Smiling Man and FATHOM (both in 2013), made their way onto the big screen. Creepypastas are actually a great place to start if you want to make a movie; condensed and viral narratives on the internet bring up-and-coming artists out into the open. And who’s to say these shorts will always remain, well, short? Both Mama (2008) and Lights Out (2013) were expanded into feature-length films. Both films also did very well at the box office, grossing almost $140 million combined. Frankenweenie (1984), Oculus: Chapter 3 – The Man with the Plan (2006) and Monster (2005) also made it to the big time by way of Frankenweenie (2012), Oculus (2013) and The Babadook (2014). Shorts are a sweet treat you can enjoy at any time of day. Ten minutes here and there can show you scares you’ve never seen, nightmares you never knew, and worlds you’ve never imagined. Shorts have the awesome attribute of being able to tell fascinating stories in a very small amount of time, something that even some feature-length films have trouble with. The best part about horror shorts is, there is an endless supply from Shudder to YouTube, to film festivals and even Reddit. Although drastically abridged compared to the features we’re used to, short films, and short horror films in particular, pack a mighty punch.